7 DAY POWDER FORECAST- DEEP IN THE PNW/BC/ID- WITH LEFTOVERS SKIMMING OVER THE ROCKIES. 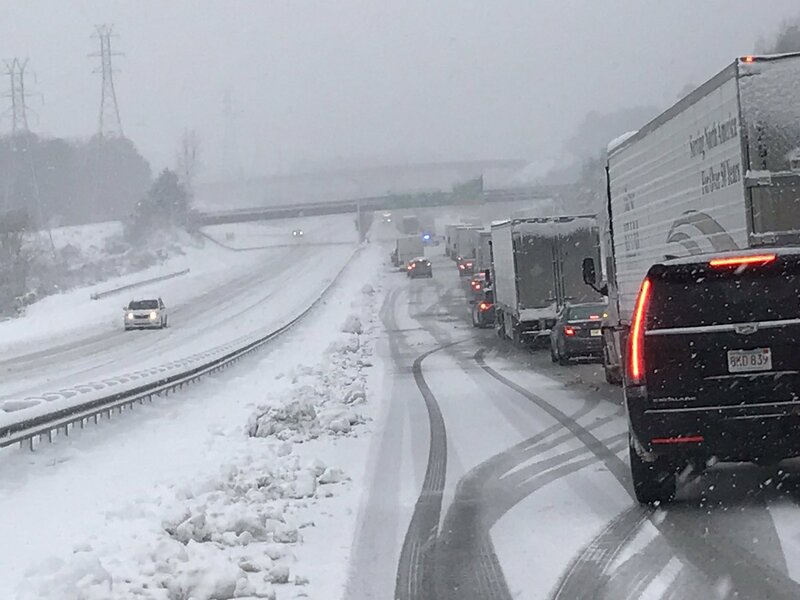 SUMMARY: Heavy snow fell over much of North Carolina with up to a foot in the Raleigh Durham Triangle. Cataloochee ski area was reporting 14 inches of fresh powder this morning! With a 59 inch base of primarily, man-made snow, that mountain would have allowed you to point it straight. If your lucky and found the 1 black diamond run that was open a face shot would have woken you up this morning. Snow will taper off in NC by Monday morning. The Pacific Northwest including BC will see steady snow every 24 hours this week and even the extended leads me to believe it's a game changer for the PNW. The Rockies get leftovers. Moderate snow is falling as of 6 PM Sunday in the Cascades. Automated Telemetry shows 5-6 inches at Baker and lower amounts further south. Radar has me believing its snowing along the entire Cascade Mountain range into Oregon including Bend (Lighter snow). 7-9 inches are likely in most mountain ranges of the northern Cascades (Mount Baker, Hurricane Ridge). Whistler will also score similar amounts. Areas of the southern Cascades may see lower amounts with 3-7 inches at Crystal, Stevens (Central Cascades) and Alpental. Snow will taper to showers Monday morning. 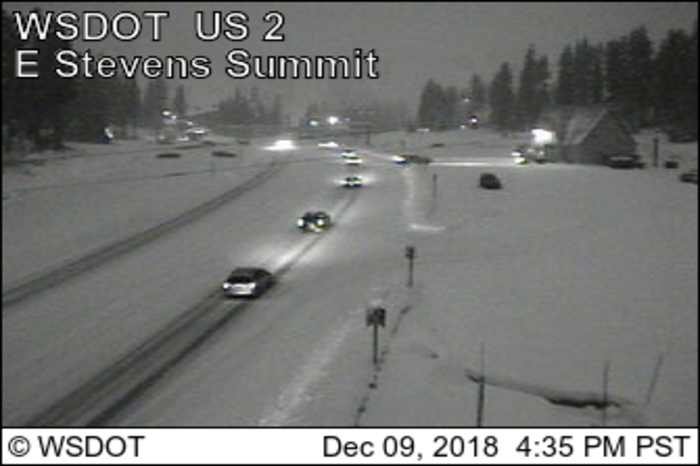 Below: Stevens Pass is snow covered as of 7 PM Sunday. Snow will be falling moderately over the Panhandle of Idaho especially north towards Schweitzer late Sunday into Monday (3-7). The next system rolls into the PNW Tuesday night into Wednesday with even higher amounts. Its likely that the Cascades and western BC score 9-15 inches or more with this system. Cold temperatures will enhance snowfall midweek. Initially, the northern Cascades are favored before winds shift Westerly or NW late. This may form convergence over Stevens Pass into Wednesday morning. The southern Cascades and areas near Mount Hood also score respectable amounts. The Panhandle of Idaho will get deep by mid-morning Wednesday with some healthy amounts favoring the central and northern regions. Schweitzer is likely to nab 9-14 inches through this period. Areas south towards Brundage will see moderate amounts. Even Sun Valley is on tap for some snowfall Wednesday with the highest amounts found on the northern flanks of the Sawtooths (3-7). Moisture will be pushing east into the Tetons and possbley south into the Wasatch. Snow continues to drive south and east into the Tetons and Wasatch Wednesday. Current models are bringing light snow as early as midnight Tuesday with moderate amounts Wednesday (6-9). Confidence is higher for the Tetons up north, and a bit of a wildcard for the Wasatch. It's likely that Utah resorts score an average of 3-7 inches with perhaps higher amounts in the Cottonwoods. Beaver Mountain opens Wednesday and is likely to see powder for the start of the lifts. In case you have not visited Beaver (Ski the Beav) a full price ticket is only $50. If you wear your blue jeans, no one will pull a double take! I suggest you check it out! The terrain is actually worth checking out with minimal folks on the hill and decent blue and low black terrain. I chase there every season. Colorado grabs leftovers Wednesday afternoon and Thursday with generally light or moderate amounts favoring the north-central mountains. Due to PM timing of the heaviest moisture, a Thursday morning chase may be worth it, but it's unlikely to top double digits. The long-term models show high confidence of another moderate or heavy event for the Pacific Northwest Thursday/Friday and again late next weekend! The models are pushing some of that moisture south into the northern Sierra (Powder is possible late week or the weekend). It is likely that many resorts in the Pacific Northwest will open a decent amount of terrain late this week or early the following. The same will go for resorts in BC. 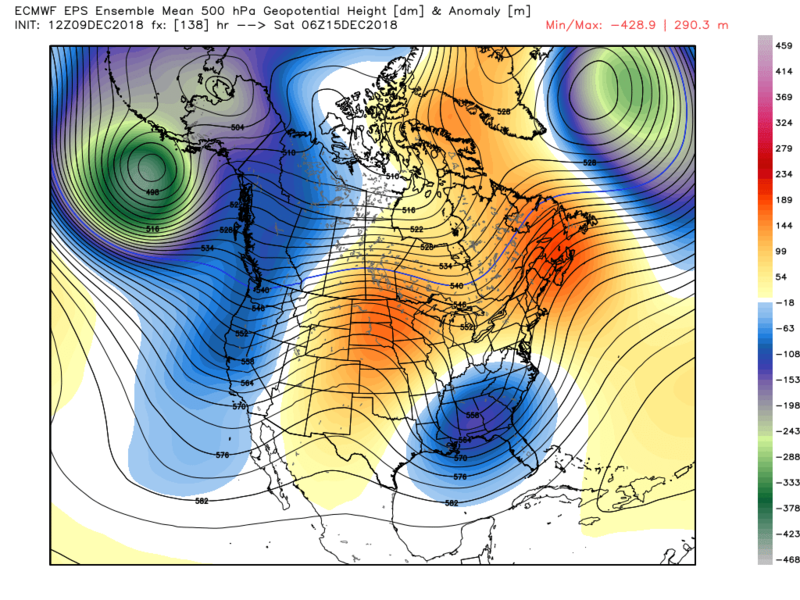 Below: Ensembles showing a low-pressure trough in the Northwest pushing further south into the northern Sierra next weekend. Snow might continue to fall in the PNW at times to start off week #2 on December 17th. (Low confidence this many days out) with a slight warming trend (Rain or wet snow at the bases). Models show decent moisture and a better chance of higher snow amounts dragging into the Rockies during this timeframe or later in the week. 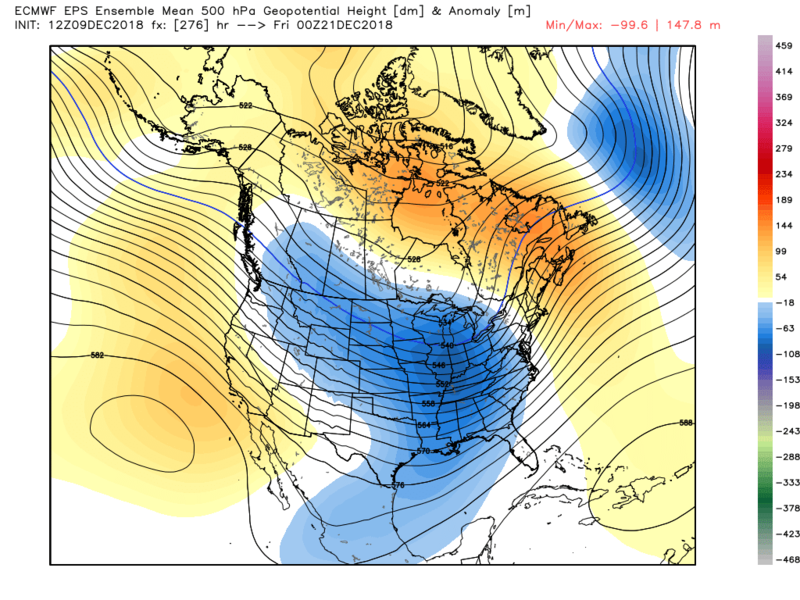 The ensemble data which has low confidence this many days out shows a trough over the Rockies as we approach the December 22nd timeframe. Below: Pure speculation at this point, but snow is possible for the Rockies pre Xmas. The image below is December 20th. While the next 7 days is going to be a game changer for the Pacific Northwest, my confidence for a stormy pattern into the middle to end of December is decent. Enjoy the powder everyone!